Hurricane Matthew kills more than 500 people in Haiti, and this is only the latest natural disaster to bring unexpected death to the world. Look in the news every day and we will hear about the war in Syria, the migrants crossing the Mediterranean, the conflict in South Sudan, and the list goes on and on. Even here in our Sts. Constantine and Helen family, how many of us have experienced death on a personal level – through terminal illnesses, old age or sudden accidents. We all know various family, friends and acquaintances, of all ages, who have died prematurely. Whether we like thinking about it or not, death is everywhere around us. Death – the great, unwanted and often unexpected guest that looms over our entire lives. It can come at anytime, and take any one of us, whether through violence or natural disaster, through sudden illness or an accident. Death, on one hand, is the most fundamental reality of our lives. From the moment we’re born, we know we’re doomed to die. Yet as obvious as this fact is, many of us choose to ignore this harsh reality and focus our lives only on the here and now. Many of us in the Church may even tune out my words and sermon today, thinking that this topic of death makes you feel too uncomfortable and depressing? Well, I draw your attention to the theme of death, since it is the focus of the Gospel reading today. We hear about Jesus and his disciples approaching the city of Nain, as a great crowd is walking in a funeral procession. Deep pain and sorrow obviously overwhelm a widowed mother, as she mourned the loss of her only child. As Jesus witnessed her sorrow, he had compassion on her, and performed one of his most amazing miracles. He touched the casket, as the bearers stopped, and he commanded, “Young man, I say to you rise!” And the dead man sat up and began to speak! An unbelievable miracle in raising the dead! Up to this time, the people had heard about Jesus healing the sick. They heard about him giving sight to the blind and making the paralyzed walk. Lepers were cleansed and the deaf could hear again. Demons had been cast out of the possessed, and his disciples had seen how Christ even controlled nature itself, by telling the wind and the waves of the sea to stop. Our Lord forgave sinners, no matter what sins people had committed, and he restored deformed and distorted souls to their original beauty. Yet now, he showed His ultimate authority over the greatest evil of all, death itself. He raised a dead man to life! I could preach about the absolute power and authority that Jesus Christ possesses, and that nothing, absolutely nothing, is impossible for him! Raising the dead is the culmination of all miracles! Yet, we know that in His ministry, Jesus didn’t raise all the dead people of his time. 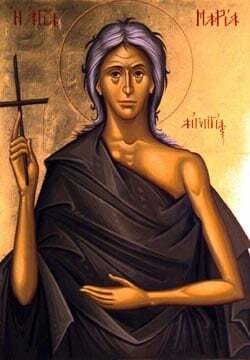 In the Gospels, we only have four accounts of Christ raising the dead – when he raised this young man, when he raised the little girl Tabitha, when he raised his friend Lazarus after being dead four days in the tomb, and when He raised himself from the dead. Since such miracles are not so frequent, I don’t want to focus on them today. Instead, I want to use this opportunity to focus on something that is a part of all of our lives – the reality of death itself. Yet I don’t want to focus on death alone, but on what we can learn from meditating on death from an Orthodox Christian perspective! Our Lord Jesus talked openly to His followers about death, and the end times. He gave very clear and firm warnings to his disciples, teaching, “Be vigilant and ready… for no one knows the day or hour when the end will come [we could say ‘when our death will come], but it will be like in the time of Noah. In those days before the Flood, people were enjoying themselves with parties and weddings, eating, drinking and not thinking of anything else.” The end will come like lightening across the sky – suddenly, unexpectedly. Don’t be deceived into thinking that you will live a long life. I hope we all live long lives, but reality shows something different. Each week when I pray before the Divine Liturgy my list of names for the deceased, I am reminded that death shows no partiality, but takes people from all ages. We all know that, and yet, somehow, we listen to the deception of Satan, when he whispers in our ears that we have plenty of time, and that we need focus only on the here and now. Don’t think about death now, he seductively whispers, you have time. Contrary to this attitude, our Lord Jesus said, “Be vigilant and ready now!” St. Paul listened to this advice and encouraged the early Christians to not only be prepared for death, but even to look forward to the end. He often concluded his letters to the early churches by saying, “Come quickly Lord Jesus.” The Fathers of the Church kept this spirit alive throughout the centuries by repeating the command, “Keep death always before you.” Now, to be vigilant and ready, to keep death always before you, is not gloomy advice, but is sound counsel for the most basic reality in our lives. Here lies an important lesson for each one of us! If we are waiting for our Lord to come, and if we are waiting for the possibility of death itself each day, how differently we would live our lives! The thought of death would not paralyze us and lead us to live in fear and dread! No! When the saints talk about death, or the end of the world, they emphasize two things – the joy of meeting our Lord, as well as the need for us to be attentive now, and live life from an eternal perspective. We must realize that the pursuits, comforts and pleasures of this world, the things that seem so important in our lives today, are all temporary. Our daily passions and concerns will pass away quickly, and what will remain? The thought of death can radically help us change our view of what is truly important in life! The thought of death changes our perspective of many things, and leads us to think about the existential questions of our being. Why am I here? What is the purpose of my life? How can I fulfill my potential as a child of God? The pursuit of these answers will begin to consume our lives, and superficialities that presently occupy our time will slowly wane. The thought of death can be a great teacher. Death reminds us of how short life actually is, and how we must take care to live these brief years on earth with a focus on eternity. Death reminds us that only a life of love, only a life of service to others, only a life of sacrificing for the other can prepare us for our ultimate end on earth. To live Christ-centered, holy lives will fill us with joyful love, compassion and service to others, which in the end is God’s purpose for our lives. And finally, living in joyful union with Christ here and now, will make us realize that death is simply the doorway to complete union with Him for eternity!